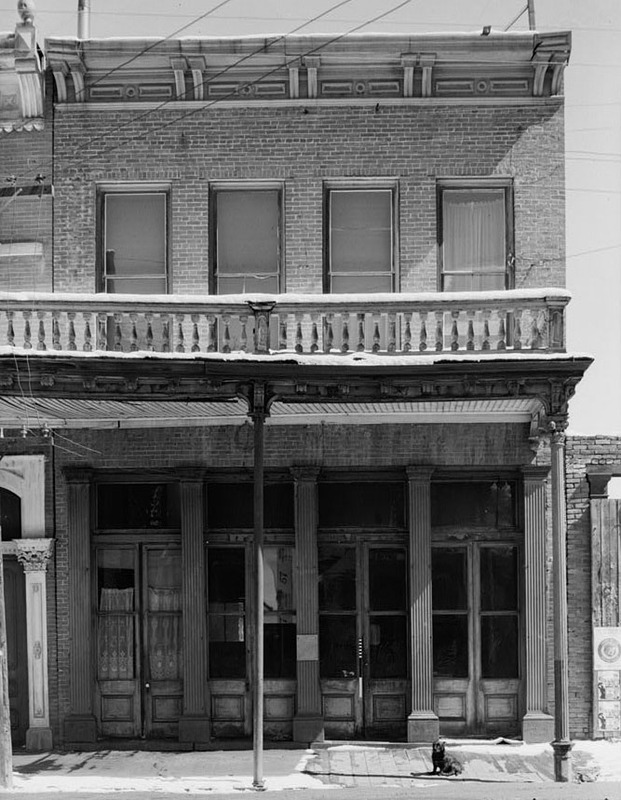 This brick building was built in 1876 as the third and final office of Nevada's first newspaper, the Territorial Enterprise. The Enterprise was established as a weekly paper in Genoa, Nevada, in 1858 and published in Virginia City beginning in 1860. An example of vernacular 19th-century commercial style, the building was constructed with a high decorative parapet and a cast-iron storefront with fluted Tuscan pilasters. The first steam-activated press in Nevada was installed in the building at the time of its construction. The Enterprise was known for the flamboyant style of journalism developed in its earlier years by such writers as Mark Twain and Dan DeQuille. While reporting on the Nevada constitutional convention for the Enterprise, Samuel Clemens began using his penname Mark Twain. During his time with the paper, Twain gathered material for his stories and books from the colorful characters and activities of the Comstock. William Sharon of the Bank of California purchased the paper in 1874 for an estimated $500,000 in order to silence the paper's criticism of him. The paper suspended publication in 1893, but was revived in 1895 when the first Linotype west of the Mississippi was installed. It shut down again in 1916, only to be revived again in 1952 by Charles Clegg and Lucius Beebe, both New York journalists and prominent historians of the West. The present porch was constructed by Beebe and Clegg using cast iron pillars from an adjacent derelict building. 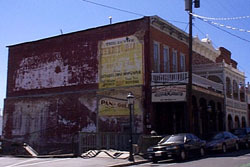 The Territorial Enterprise Building is located at 23 South C St. in Virginia City. The Mark Twain Museum is housed here; call 775-847-0525 for museum hours.